Kudos to 7-11 for attempting to provide healthier food options at its convenience stores. 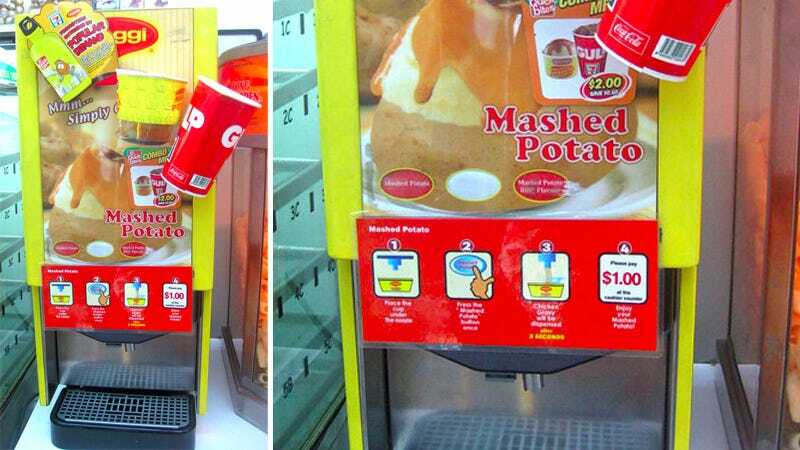 The latest down home treat: mashed potatoes extruded from what looks like a modified Slurpee machine. For just $2, you can get yourself a bowl of mashed potatoes and a giant tub of soda. And to make everything slide down easier, you even have the option to add an extra layer of chicken gravy on top—that's button 3 on the machine shown—at no added price.